There are currently many challenges in the waste management sector that are holding South Africa back from a cleaner and greener future. Of these, mismanagement and non-compliance are the most prevalent and damaging to the environment and society. There are, however, solutions to South Africa’s waste management problems. A shortage of resources and an ever-increasing population are further contributing to more and more waste, making it difficult to collect and dispose of properly. Luckily, society is becoming more aware of the impact that waste has on the environment, and is slowly beginning to actively contribute to recycling efforts. The legislation is also developing and becoming more robust. This puts South Africa on a par with many of the world’s leading nations when it comes to responsible disposal of waste. The national government is making steady steps towards better service delivery and the implementation of more sustainable methods of waste management. South African waste facilities are becoming more automated, technologically advanced and eco-friendly. The days of open landfills are limited as newer, healthier and safer methods of waste management are implemented in the country. The risks associated with untreated hazardous waste are clear, and pressure from environmentalists are forcing innovation in the waste sector. Although South Africa is beginning to recycle more and more waste, we are still a long way off from some countries. Sweden recycles 99% of their household waste in various ways (the remaining one percent goes into landfill) – this is referred to as the Swedish Recycling Revolution. The term ‘recycling’ is used rather loosely by the Swedes as half of their household waste is actually incinerated and converted to heat energy in the production of electricity. They regard this as recycling waste into electricity. Nevertheless, it is an impressive feat and Sweden is widely regarded as an environmental pioneer when it comes to proactive waste management practices. In reality, South Africa lacks the technology to compete with Sweden’s recycling rate, but local waste management providers should still strive to reduce the waste in landfills as much as possible. By engaging with Sweden and learning about advanced recycling technology, South Africa can benefit and profit from waste. South Africa already has a great basis for an effective and eco-friendly waste industry. The government and private sector simply need to mandate greener solutions to waste management and invest more money in the industry if we are to find effective and long-lasting solutions to our waste management problems. 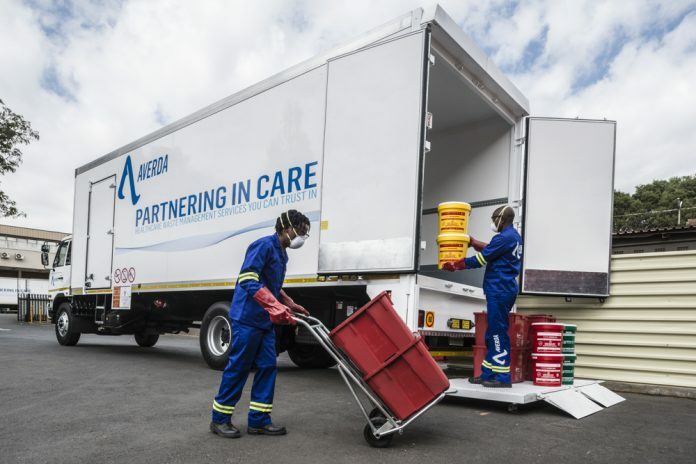 By pairing international expertise with local insights, we have secured our position as one of South Africa’s most respected providers of waste management and industrial cleaning services. We also operate in the recycling, pipe inspection, hydro-demolition, high-pressure water jetting and catalyst handling industries.